The image can be interpreted in many ways while helping to bring some clarity on how we can all improve. Leadership is a choice that evolves over time through one’s actions. Leaders look to constantly improve and help others to do the same. Bosses care very little about self-improvement and are more focused on extrinsic motivational factors. Leaders work with others to develop a vision to help move a mission forward. In the case of schools, these people ensure measures of action result in the vision becoming a reality so that all students learn and overall achievement increases. Great leaders focus on the vision for the mission’s sake. Bosses set the vision themselves, usually in the form of a mission statement. They then sit on top of this mission statement and use it to promote themselves when others succeed. I really like the distinctions that you make here in this piece. 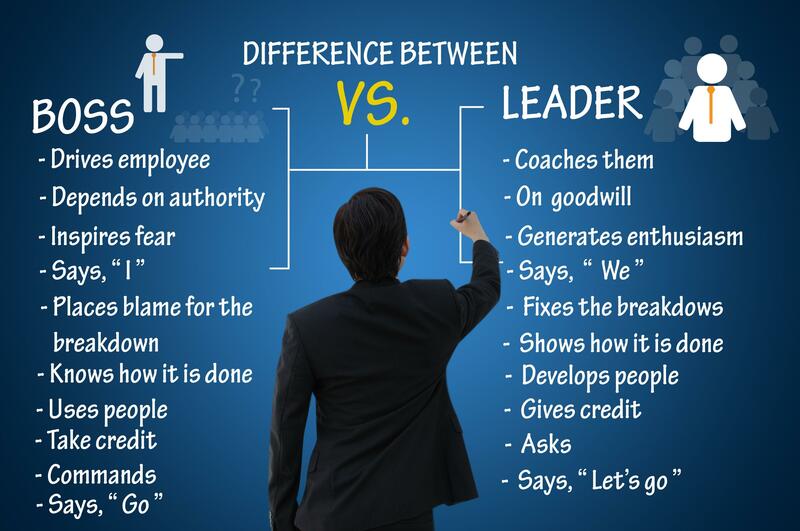 In my years I have worked for both leaders and bosses and I have learned what not to do and what to do. I think the distinction you make here between the two is one of the major reasons that edcamps are so awesome! A room full of leaders sharing and learning and not a boss in sight! If only my four year old son could read, I think I would make him take a look at this piece. I've never seen someone who still drinks out of a sippy cup act so much "like a boss". :) Have a great time down under and be well. I, like you John, learned so much about what not to do from bosses I worked for. Leadership is about building capacity in others to be catalysts for change. Bosses don't get that because ego, power, and control get in the way.